Melbourne: A Sikh man running for the city council in Australia has been racially targeted by a man in a truck shouting racial slurs at a life-sized cut-out made from one of his election placards, according to a media report. 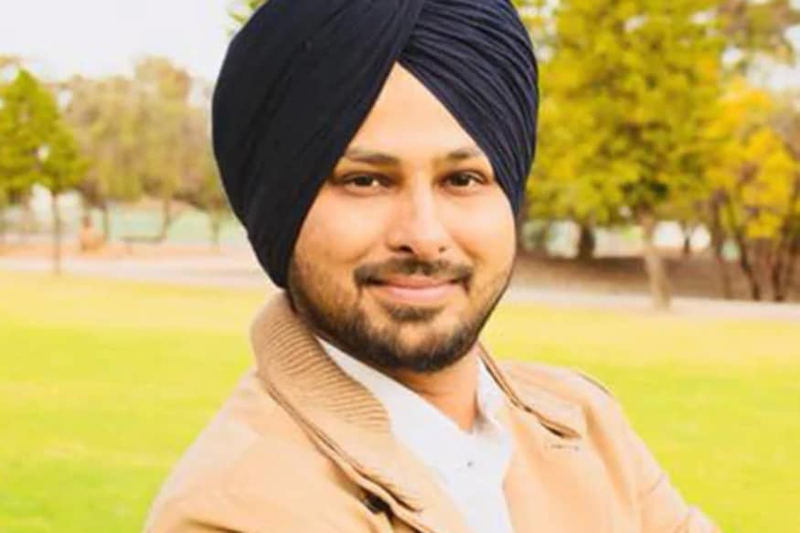 Sunny Singh, a Port Augusta City Council nominee, said a social media video targeting his race is the first time he has experienced racism in the local community, ABC news reported. He was attacked in a video posted to a national trucking Facebook page. The video shows a man in a truck directing racial slurs at a life-sized cut-out made from one of Singh's election placards, which is eventually run over by the truck, the report said. "I was a little upset and shocked because I'd never even seen this man before, never met him, I don't know why he did it," Singh was quoted as saying by the report. "I was amazed how welcoming the people of Port Augusta were when I came here. This is the first time this has happened here." He said the Port Augusta community had rallied behind him. "This morning I saw Facebook and I saw hundreds of messages and comments supporting me," Singh said. "We are a state that has a very proud history of democracy. Our government is completely behind maintaining that and the right for people to stand for public office. "I just want to say to other candidates in the local government elections, thank you for standing." Port Augusta mayor Sam Johnson said he was shocked by the violence and racism in the video. "Appalled, absolutely appalled, gutted, outrageous in today's society, what would possess anyone to do that? Clearly a lot of effort was put into that," Johnson said. Johnson said the Indian community and the Sikh church contributed greatly to the Port Augusta community and economy. "The experiences I've had with our Indian community and multicultural community, they are very giving and community-minded," he said. "Sunny Singh is a shining example of exactly the type of migrant we want to welcome into our community, and not offend in this way. The offending post should be removed immediately," said the Member for Stuart, which includes Port Augusta, Dan van Holst Pellekaan. Meanwhile, the trucking company pictured in the video, Moroney Trucking, has been suspended as a service provider, the report said.